The doctors who work on Manitoba Lifeflight air ambulance say they're still willing to quit their jobs if the service is privatized, following a meeting Wednesday with the health minister. Dr. Renate Singh, the service's medical director, said the physicians are as committed as they were in last month's strongly worded letter, which condemned the decision to find a private company to provide Lifeflight service. "The government does know that the likelihood of us discontinuing service to the program is extremely high if privatization is to occur under the current RFP [request for proposals]," Singh told CBC News after the meeting. She added it was "very unlikely" a private firm could satisfy all of their safety concerns. 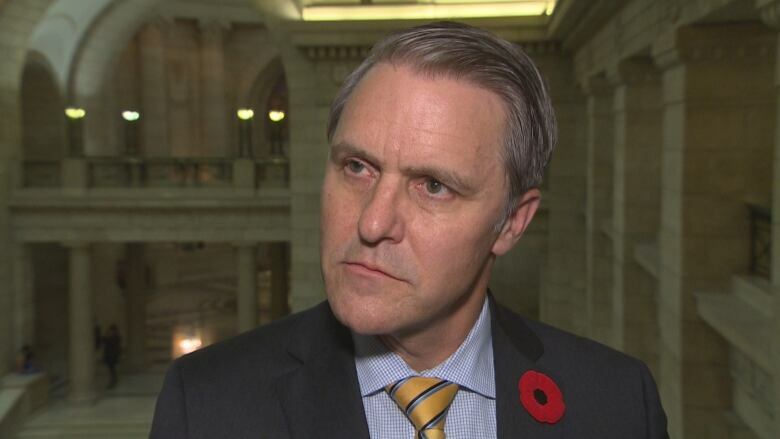 Sixteen physicians spoke out against the government's plan to privatize in a letter to Health Minister Cameron Friesen last month. They got a sit-down meeting with Friesen on Wednesday afternoon, which both parties described as beneficial. "We all walked away feeling that for the first time since the whole RFP discussions had began that we had actually been heard," Singh said. She feels their concerns about patient safety were understood. "Today's discussions actually bore fruit in that area," she said. Singh respects the province's desire to go through with the RFP process, but she said it doesn't mean the province should pick a winning bidder. The government intends to choose the winning contractor in early 2019, a spokesperson said. "I'm optimistic that this minister will not ignore the medical advice that's been given," Singh said. Friesen told media afterwards he thought their discussion was engaging and respectful. He said the two sides share common ground. "What I emphasized in the room with the doctors is we take the same stance. We are in this for safety and better service. And if that can't be provided, I'm not interested." Friesen declined to speculate if the province would proceed with privatization if subsequent discussions don't change the physicians' minds, but he said consultation would continue. "We want the same thing." During question period earlier, Manitoba Premier Brian Pallister maintained that privatizing air ambulance service was the way to go, referring to several other Canadian regions, including British Columbia, Alberta and Nova Scotia that had gone that route.